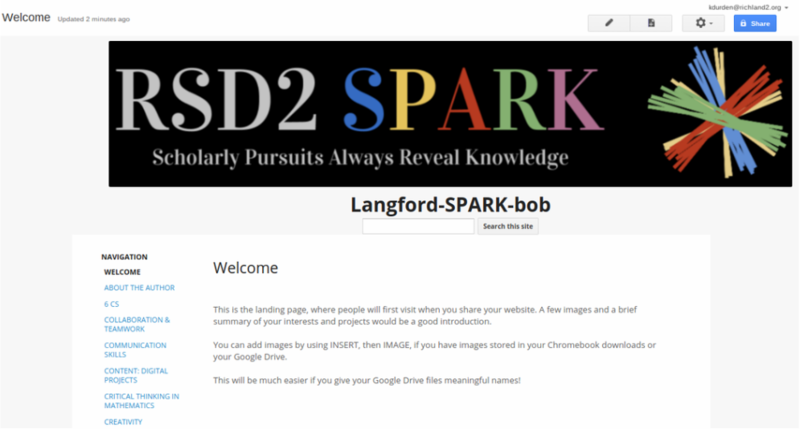 You have an opportunity this year to create your own website to display your project-based learning and reflections. 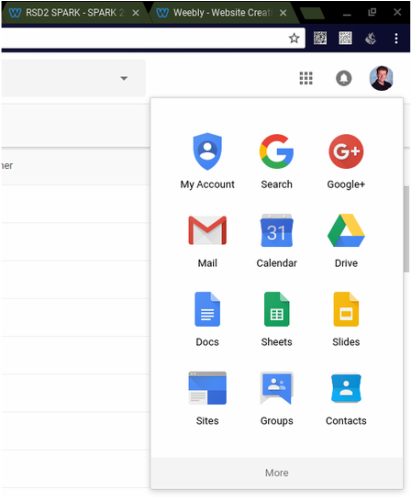 This is a free service offered through your school Google account. 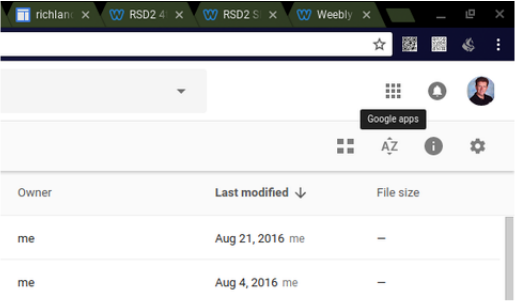 The icons are often arranged by how often people use the different tools, so you may need to click "More" to see all the choices to find "Sites." You have a choice to begin with a completely blank webpage or to use an existing temporary model, called a template. I suggest for your first website that you use a template, because it will have several pages and and tabs already in place that you can make small changes to and give your own style. If you browse the gallery, you will see many choices. The great opportunity is there are several possibilities! The great challenge is there are several possibilities, so some students have difficulty settling on one. 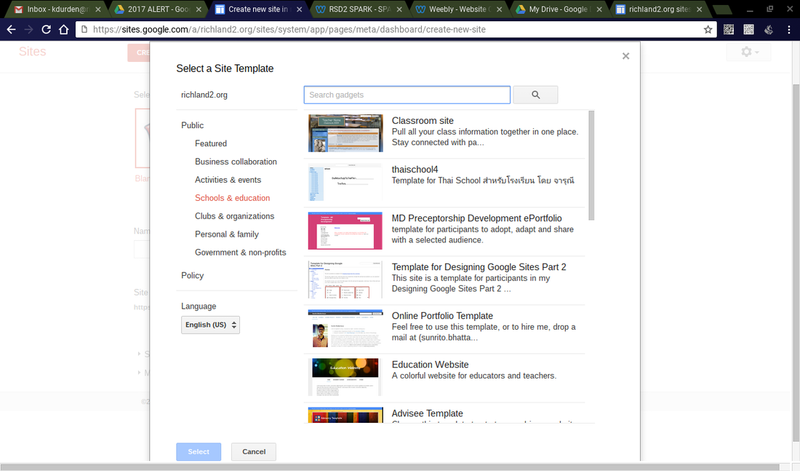 You can also look up an existing template for SPARK students: ​"SPARK Student," "SPARK Website," "SPARK Design," or "SPARK Template" searches all give you a good starting place to launch your website. 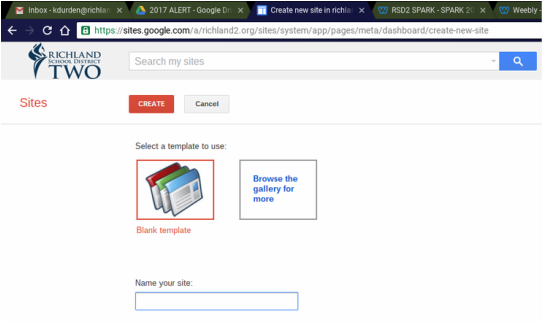 Once you have chosen a template, you will name your site. This will give it a web address. 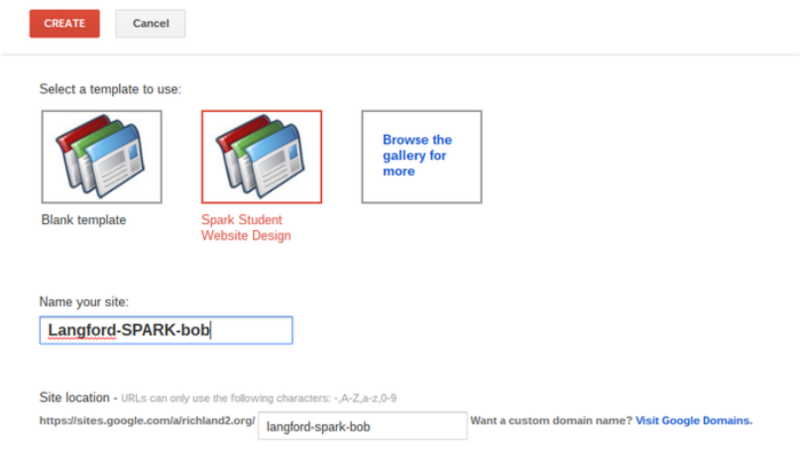 A combination of school name, SPARK, and your first name or initials might be a good idea. Please do not use your first and last name together. ​This is a time when it is very important to pay attention to detail! 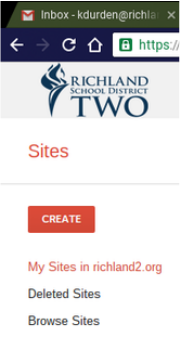 If you misspell the website name, that will still be the address people will see when you are ready to share your site with family and classmates. Congratulations! You now have a place in cyberspace. With it comes great opportunity and great responsibility. The pencil allows you to edit the page you presently see. The piece of paper with the "plus" sign allows you to add a new page. 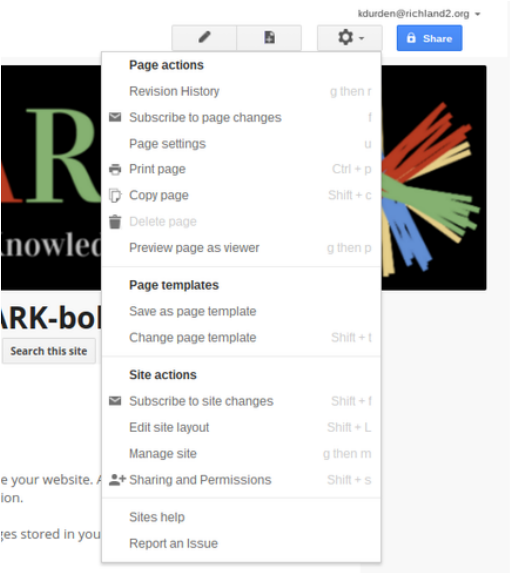 The gear-shaped button gives you access to tools to change your theme and rearrange pages. The blue Share button allows you to set permissions for friends and family to see your website once you're ready to share it with the world. Take your time and be thoughtful about what you choose to place on your website. Consider carefully the impression it may give people who see it for the first time, and ensure it is an expression of your intellect, skills, talents, and character.